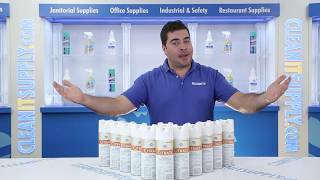 Versatile, highly effective disinfectant spray kills 99.9% of bacteria-caused odors. Safely sanitizes high-touch surfaces such as door knobs and countertops to prevent the spread of germs. 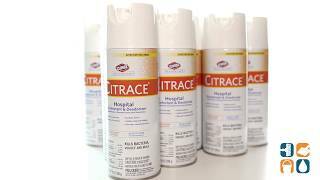 Formulated for use in hospitals, clinics, schools, laboratories and bathrooms. Long-term shelf life and extended effective-use period work together to provide a superior value, especially for healthcare facilities. Each carton comes with 12 - 14-oz. cans so you can stock up and save. Call today to order!